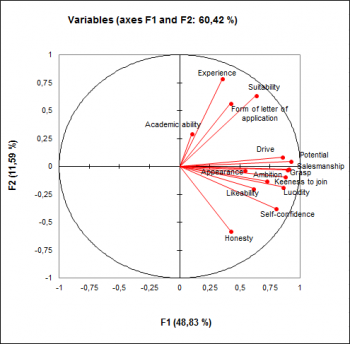 Factor Analysis detects latent variables that summarize variability among several variables. 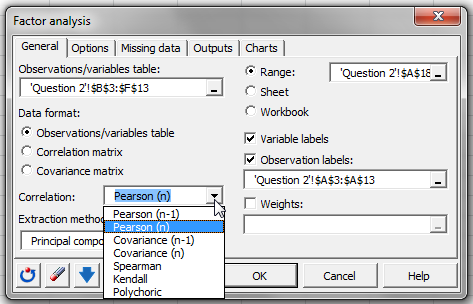 Available in Excel with the XLSTAT statistical software. 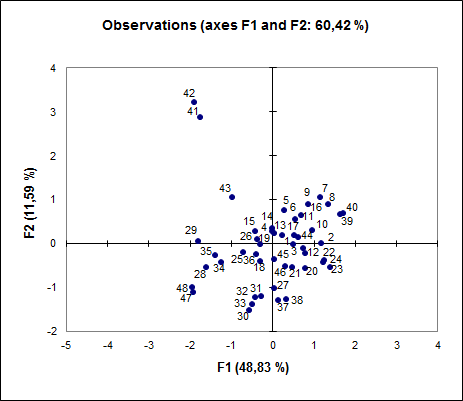 Exploratory factor analysis (or EFA) is a method that reveals the possible existence of underlying factors which give an overview of the information contained in a very large number of measured variables. 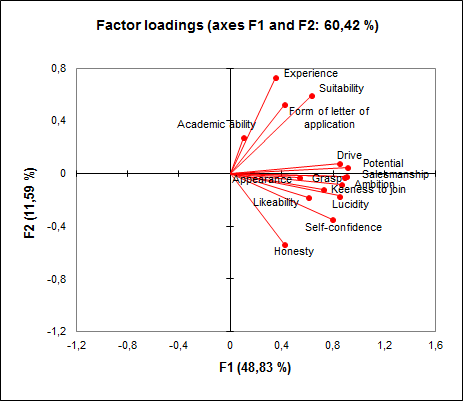 The structure linking factors to variables is initially unknown and only the number of factors may be assumed. 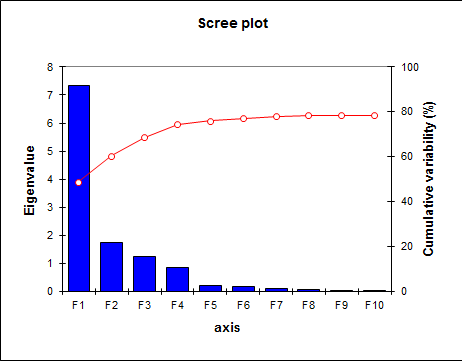 Principle components: This method is also used in Principle Component Analysis (PCA). Correlations charts: These plots show the correlations between the factors and initial variables. Here also the initial variables can be shown in the form of vectors.